Join us for a Sugar Plum Paint Party for dancers ages 24-35 months (2yrs.). These classes are focused on Creative Movement where dancers are introduced to basic concepts of ballet through fun and engaging movement inspired exercises. The Sugar Plum Paint Party classes will take place Wednesday January 2nd through Friday January 4th from 9:00-9:45am. 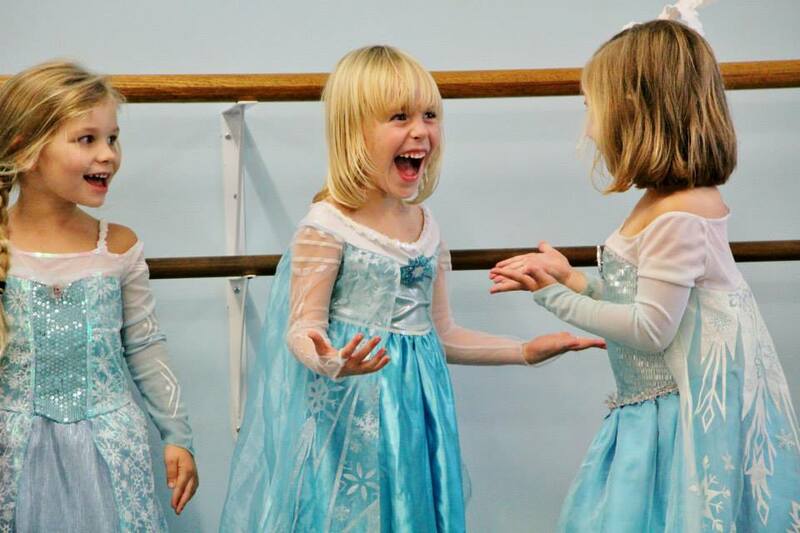 Join Elsa and Friends for the Variations Frozen Ballet Workshop for dancers ages 3-4 years. Students will learn basic ballet and jazz technique during this camp session. Those who are interested in learning more about our 3-4 year old Program will be able to experience both styles of these classes throughout this week. The Frozen Ballet Workshop classes will take place Wednesday January 2nd through Friday January 4th from 10:00-11:00am. Join us for a Snowflake Remix Workshop for dancers ages 5-6 years. Students will learn ballet, jazz, and hip hop technique during this camp session. Those who are interested in learning more about our 5-6 year old Program will be able to experience combo ballet/musical theatre and combo ballet/jazz classes throughout this camp week. The Snowflake Remix Workshop classes will take place Wednesday January 2nd through Friday January 4th from 10:00-11:00am. The Variations Winter Workshop is offered for dancers 7-18yrs. These classes will expose dancers to a range of dance styles throughout the week. We do have a one day pass option for dancers who would like to attend one day only. 1 Day Pass options: $50 1 day Pass for dancers 7-10yrs. $75 1-day pass for dancers 10-12yrs. and 13-18yrs.